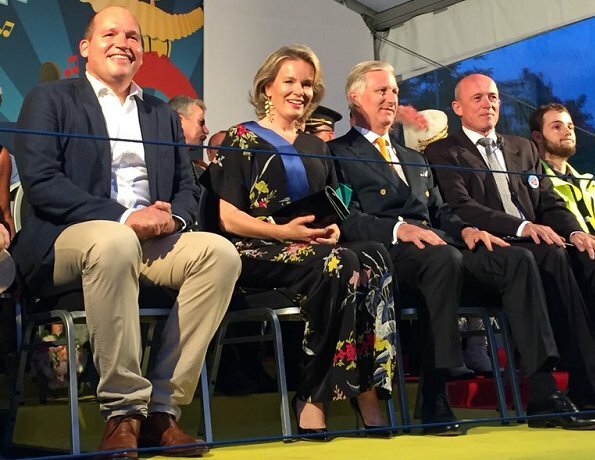 On July 20, 2018, King Philippe, Queen Mathilde, Princess Astrid and Prince Lorenz attended the annual classical concert on the night before the National Day at Palais des Beaux-Arts in Brussels. 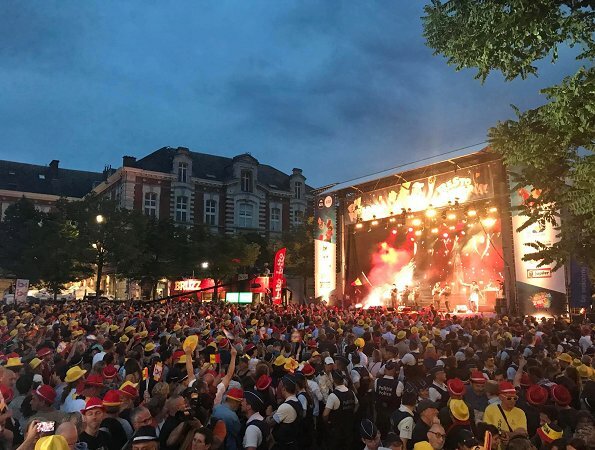 This classical music concert is organised by the International Queen Elisabeth Competition, together with the National Orchestra and Bozar. This year, the guest musician is cellist Ivan Karizma, winner of the Queen Elisabeth Competition in 2017. At the event, the Queen wore a new satin gown by Erdem. 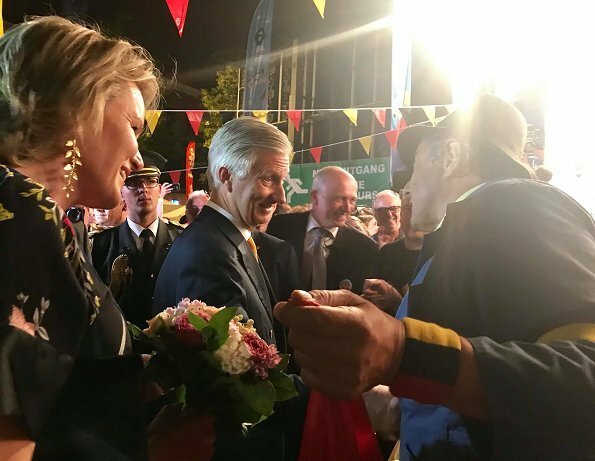 Queen Mathilde and King Philippe of attended the Bal National festivities, on the eve of Belgium's National Day in the Marolles - Marollen neighbourhood in Brussels. 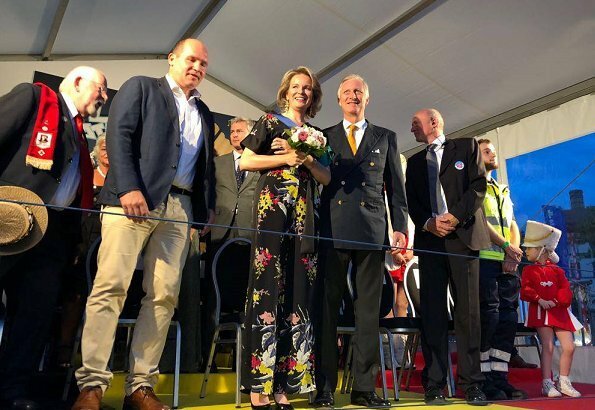 At the event, Queen Mathilde wore a Floral-printed silk jumpsuit by Diane von Furstenberg. 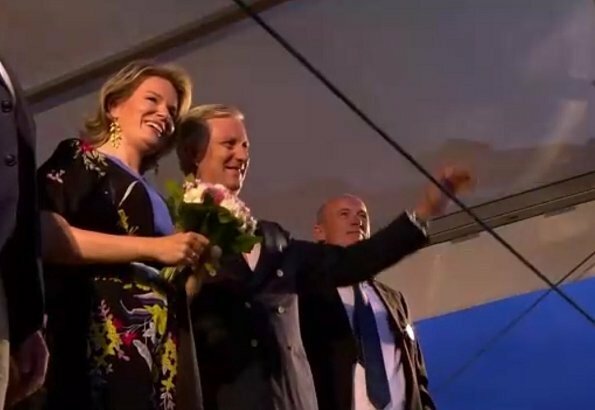 National Day again time do fly.I love Q Mathilde's dress but not so much the bottom part but she looks good anyway. 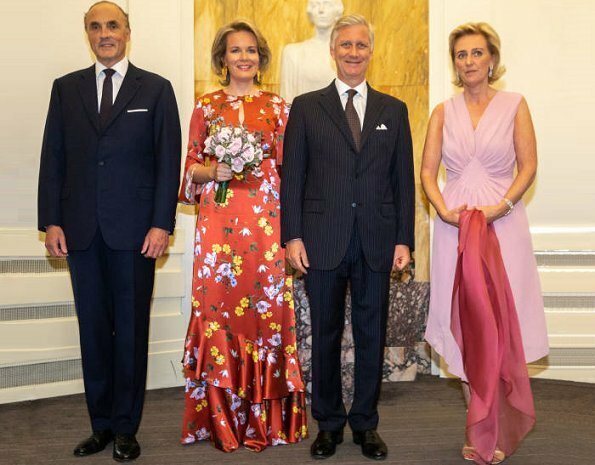 I also like Adss Astrid's dress sometimes her cloth looks dated, but this on looks good. The men look good too. Happy National Day 2018. 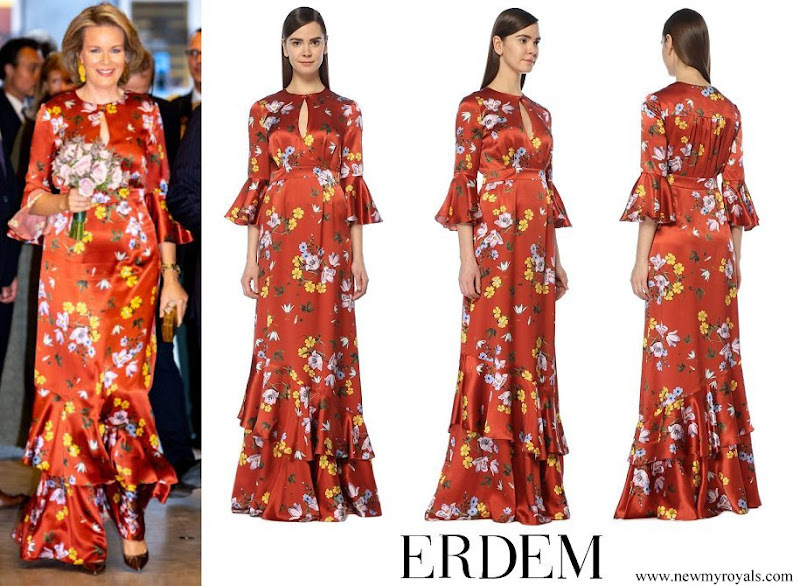 Love the Erdem - I think the floral pattern works here because it's bright and not too busy. 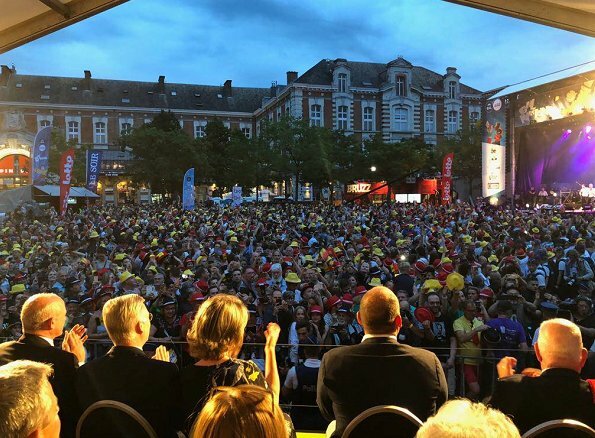 She looks great. I like the DVF but less than the red dress. These outfits both have pretty silhouettes, imo, and could have been very elegant -- but I feel that their all-over prints are so bright and busy that elegance is lost. The kimono-style jumpsuit could have worked if the potion below the waist had been solid black.